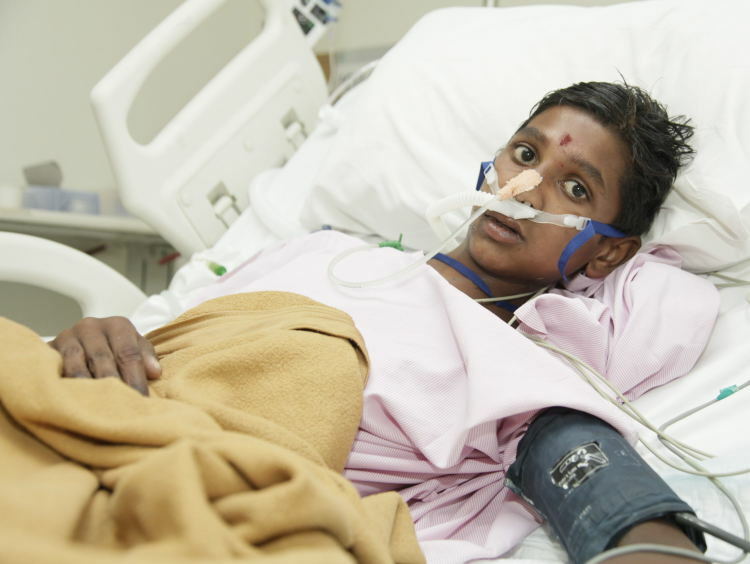 On 7th March, 12-year-old Sonith’s life unturned upside down. He was rushed to the ICU as he struggled to take even a single breath. 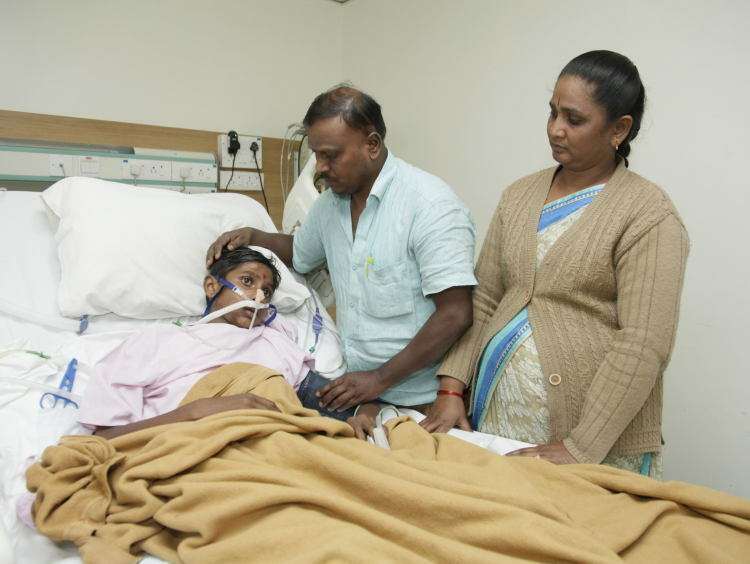 Manjula and Narayana remember the horrified look on his face on the way to the hospital. Sonith didn’t know what was happening to him. He still doesn’t know that his condition is extremely critical because of severe pneumonia. He thinks it’s a small infection that will go away soon, but the reality of Sonith’s condition is far more serious. 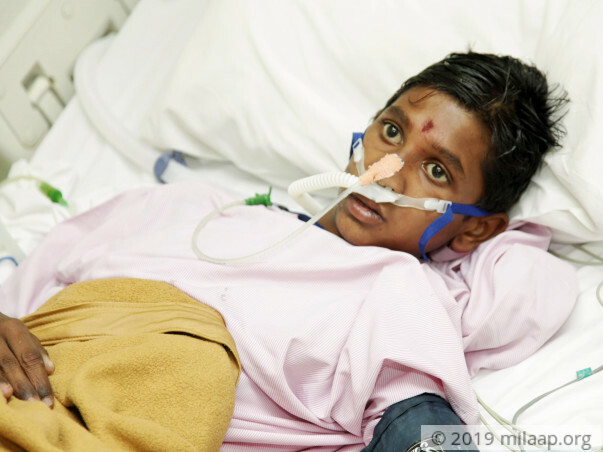 Sonith needs to stay in the ICU for at least 10 more days to recover from pneumonia. 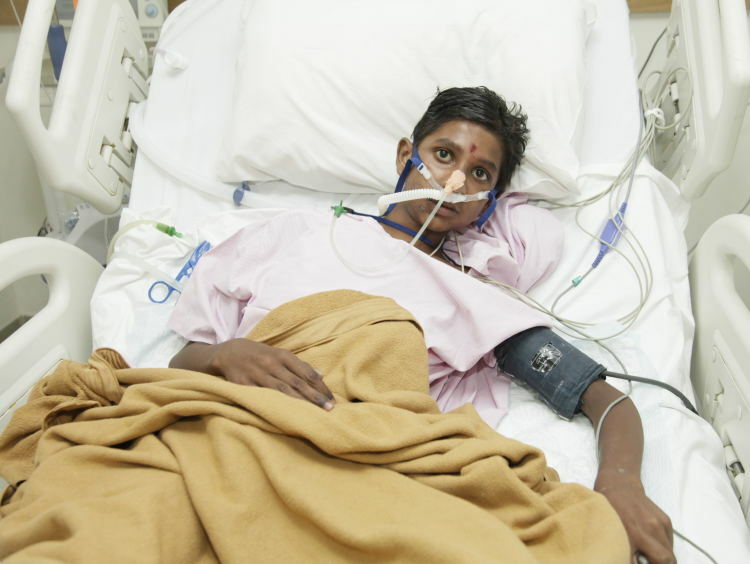 Sonith had a mild fever on few days before he was admitted to the ICU. However, after taking him to the doctor, he felt better. Manjula wasn’t too worried since Sonith soon went back to playing with his siblings. When his fever returned a few days later, Manjula never imagined that it would be the beginning of a battle between life and death for her young son. An X-ray later, they found out that what they thought was a common cold was actually severe pneumonia. 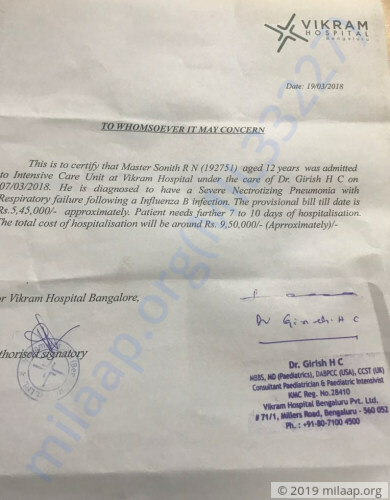 Sonith has been in the ICU since March 7. He was taken off ventilator support a few days ago, but he’s still not completely out of danger. It’s crucial for Sonith to stay in the ICU longer to have a chance to make it. Sonith now lays on the hospital bed, staring vacantly ahead. He doesn’t talk much, but he’s terrified of being in the hospital. Manjula stays with him as long as she can to make him feel better. 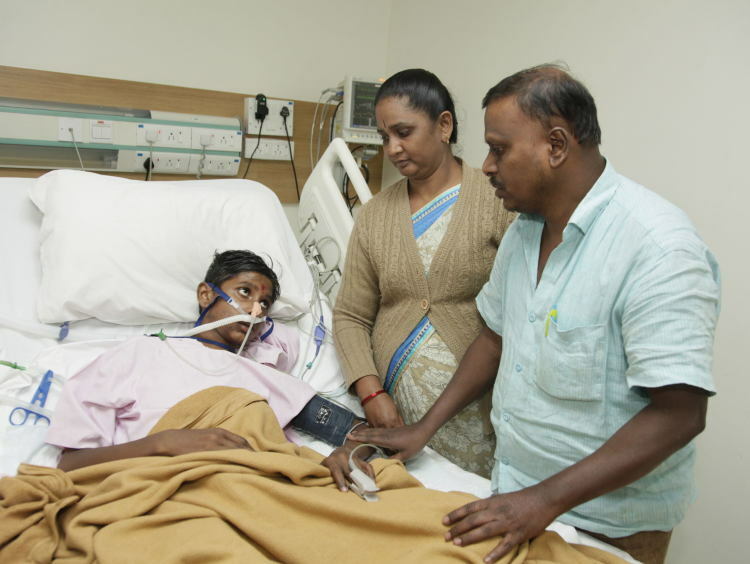 Manjula and Narayan have already spent 5 lakhs on his treatment in the two weeks that he’s been in the ICU. They used the savings they have from their small clothing business and somehow managed to keep him in the ICU. However, Manjula and Narayan are now worried. They don’t have the means to continue his treatment any longer, no matter how hard they try. Sonith has pneumonia and suffered severe respiratory problems and infection because of it. His only chance to survive is to stay in the ICU for at least 10 more days. 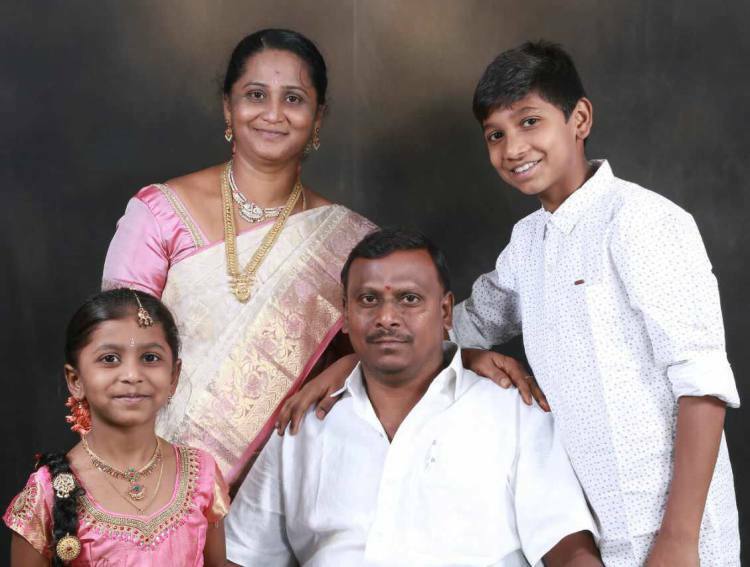 Manjula and Narayana have exhausted all their savings and are desperately looking for help. Your support will save Sonith’s life. Sonith continues to be doing better. He has recovered almost 80% from his critical condition. He is in the wards on small amount of oxygen,with slight breathing difficulty, eating well and in reasonably good spirits. But he continues to leak air from his damaged right lung ( Bronchopleural Fistula ). This needs intervention by Bronchoscopy to close the Bronchopleural fistula. Since that intervention is not available at Vikram Hospital, we are transferring him to Apollo Superspeciality Hospital at Jayanagar, Bangalore. Once the procedure is done, he will be shifted back to Vikram Hospital. Time frame for shifting back is not very certian right now. We will keep you posted after he gets evaluated at Apollo Hospital. Family will continue to need our support. First of all, thank you all for your contribution to an unknown face in distress. Sonith has made considerable progress. He was transferred to the ward about a week ago. He continues to need minimal oxygen and also a chest tube as there is a continual leak of air from his weakened Right Lung. But he is in good spirit and family is hopeful of full recovery. If we are unable to get him off oxygen , We anticipate to send him home with some sort of support ( home oxygen ) to give his lungs more time to recover.